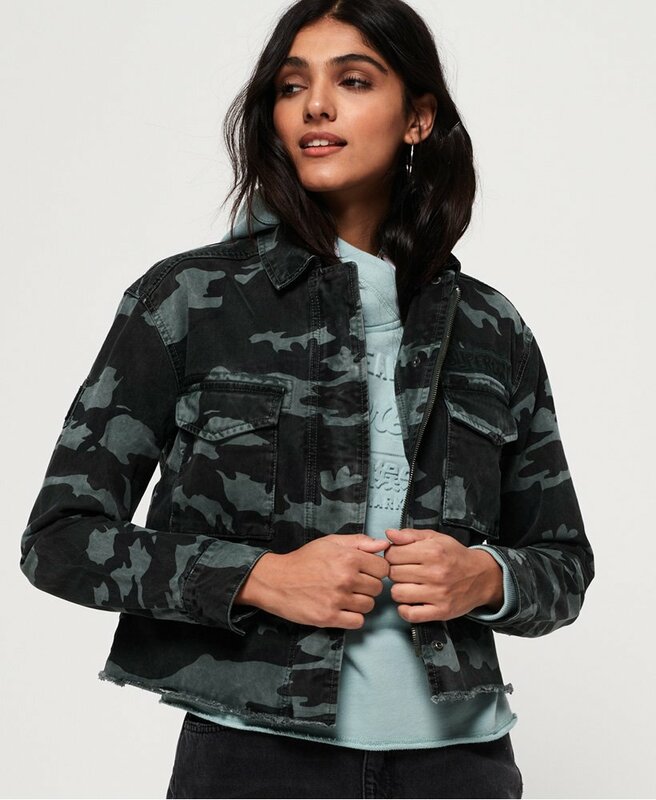 Superdry women's Riley cropped Rookie jacket. This military style jacket features a zip and popper fastening, popper cuffs and twin chest pockets. This Rookie jacket is completed with applique badges on the chest and sleeve. Pair with boyfriend jeans and a crew t-shirt for a relaxed look.